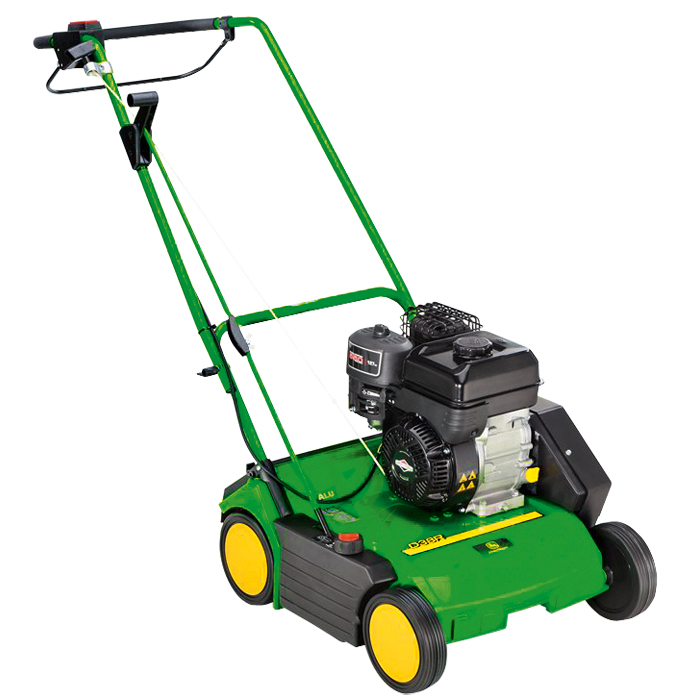 Break up thatch, that deep layer of grass and moss build-up, every spring and autumn with a John Deere D38R scarifier. A total of 15 individual cutting blades comb up thatch and create entry for air, water and nutrients. 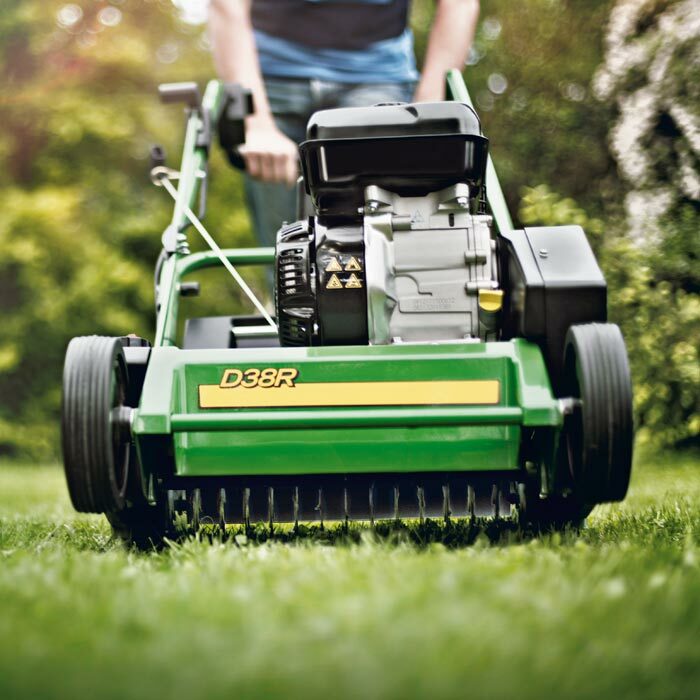 The mowing deck is manufactured from cast aluminium for robust and long lasting performance. Together with the high quality paint application this ensures the deck will not rust or dent. 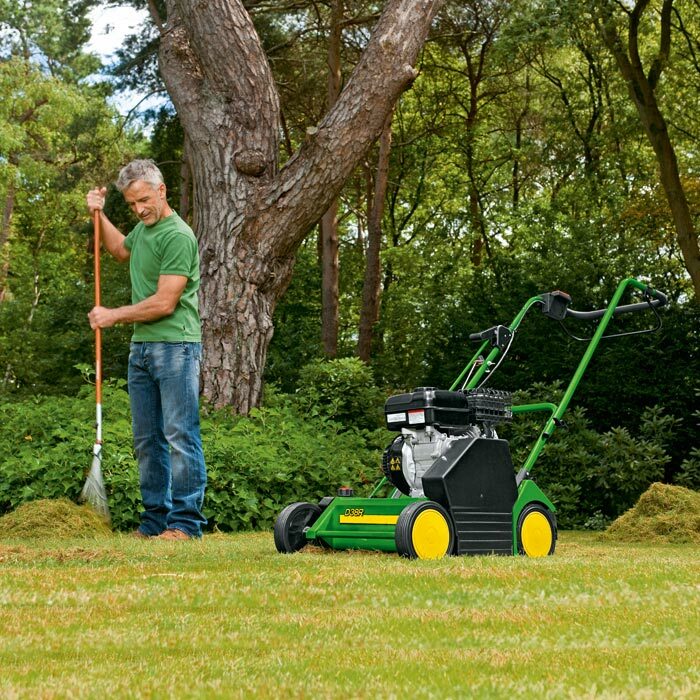 An engagement lever allows easy lifting and lowering of the scarifier blades.